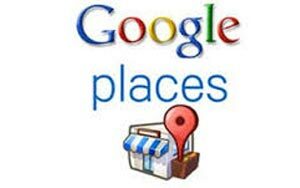 What is Google Places map listing for Business? Web Design City Sydney is a specialist in Google Places Local Map Listing for Businesses. We have experienced Optimisation team for My Google Places. When we use city name as per address in our searches it comes in top 3 searches on Google Listing. It is like we list our business in Yellow Pages for local searches. WDC has expert SEO team to get your business on search results as in keywords search and get your address listed on Google Map. Web Design City’s Google Places Optimization services are designed to give your business the best possible break to get in touch with potential clients before your rivals do. By carefully supervising how your company's information is listed in reference directories online, Web Design City ensures your business is located in Google's local search results, irrespective of whether you have a website or not. When we add business on Google map for local listing we follow all Google trends and algorithm to achieve successful results. These Google My Business listing results helps in our customers’ business progress and enhance their business visibility. Web Design City is Sydney based company and provides all services related to your business getting online which covers responsive web design, Search Engine Optimisation, managing your paid adword account, small to corporate business websites. Promotion of the company website on high level which gives our customers good brand value and rankings. Your website should be developed as Google algorithm so it supports your website performance. Join the community of Google my business and stay connected with Product experts and business owners. Your listing will appear when people will search for your business or businesses like yours on search engine. 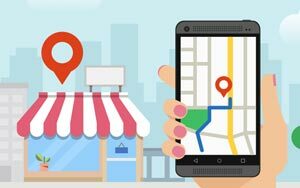 Google Places Map Listing Service - help your customers to find you easily in your local city with your full address and contact details.Our optimization and Google map listing services will bring your company on top. By advertising your business on Google your company will get brand value. Sitting idle will not bring any change in your business,take the essential steps to get started by getting in touch with Web Design City on 1300 932 587 today! Happy to get you started as soon as possible and deliver you results as we believe in delivering results. Contact us if you are looking to improve your Google map listing and keywords ranking of your business.